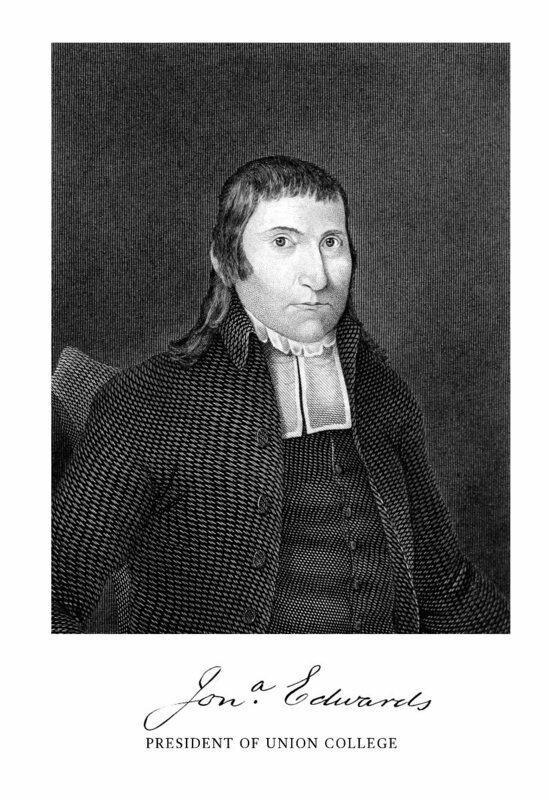 Engraving of Jonathan Edwards Jr. (class of 1765), Congregationalist minister and early antislavery advocate. Tryon Edwards, ed., The Works of Jonathan Edwards, D. D. Late President of Union College. With a Memoir of His Life and Character by Tryon Edwards, Vol. I (Andover, MA: Allen, Morrill & Wardwell, 1842).